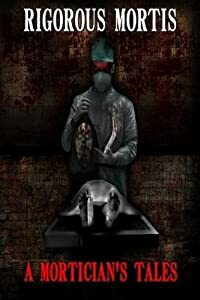 The horror anthology Rigorous Mortis: A Mortician's Tales -- featuring my short story, Interred, is available for purchase at Amazon.com! Interred is a story about a paralyzed man who awakens to discover that he's about to be buried alive. This collection is available in paperback -- click the attached link to check it out! The electronic version will be made available soon via Amazon.com. First, as previously reported, my short story Food for Worms garnered honorable mention honors in the L. Ron Hubbard Writers of the Future contest, out of more than 1,000 contest entries. A link to the winners' page can be found HERE.